Podcasting has been around for years. Unless you’ve been unconscious for the last year, however, you may have noticed the podcast contagion that’s connecting a growing number of headphone wearers with educational, specialized, and entertaining on-demand audio content at the click of a Subscribe button. Listeners can now click play on their morning jog or daily commute — time traditionally spent listening to music or talk — and find highly personalized, niche-specific education, interviews, curated news, and almost any entertainment genre you can dream up. If your audience has a few minutes to listen — even if it’s just while doing some laundry — you can find them and get in their ears. But it’s not quite as easy as it looks, at least not when you’re producing 20 shows a week like we do at Rainmaker.FM. 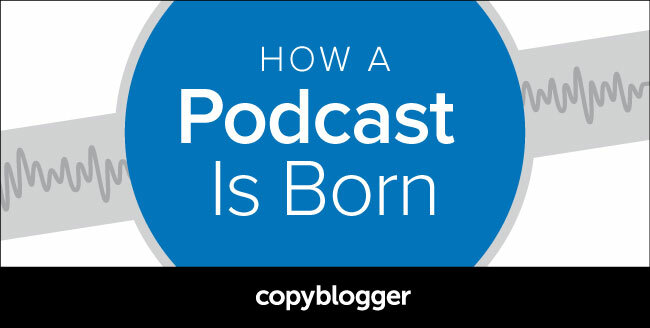 That’s why the team here at Copyblogger wanted to share a “simple” road map for creating a podcast. I put “simple” in quotes because creating great audio content involves many steps — these are just the simplest and most effective ways we’ve found when starting from scratch. Even if you’re just writing and recording a script for your show and letting someone else do all the production work, our road map will help you appreciate everything that comes together to get a podcast episode to the finish line.